Our history and what moves us: Learn here why we have been making musical instruments for over 30 years. Our leaders and the developers behind our instruments provide insight into their day-to-day life at CASIO and recount their experiences. Once upon a time, there were four brothers who had talent, ideas, courage and a vision. What sounds like the beginning of a fairy-tale was the venture of brothers Kazua, Tadao, Toshio and Yukio Kashio that started in 1946 — just one year after World War II had ended. Their shared idea was to develop and produce electronic and digital technology — and to make a success of it. 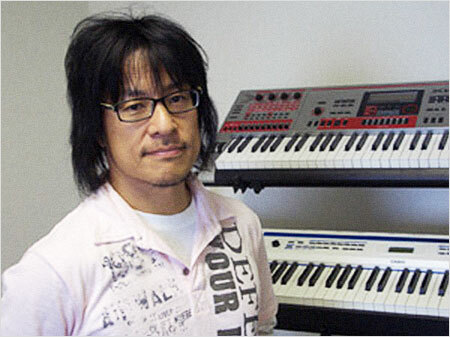 But one vision came from the enthusiastic amateur musician Toshio, whose biggest dream was to create electronic musical instruments that were also affordable for amateur musicians. Following on from their initial success with the first electric relay-based desk calculator in 1957, their next innovation was the first inkjet printer. The first pocket calculator was ready to be launched on the market in the early 1970s. 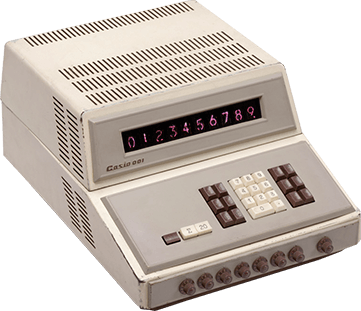 In the mid-1970s, the CASIOTRON stormed the watch market and is still as popular today. After this success, Toshio decided that the time had come to finally make his original vision come true as he knew that the company had amassed the relevant expertise and the technology was now sufficiently advanced. 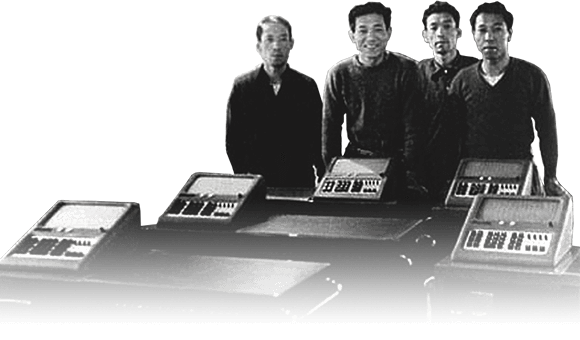 By early 1978, the Kashio brothers, under the leadership of Toshio, began to revolutionise the electronic musical equipment market. Their goal: To implement new ideas, build smaller instruments and use innovative technologies to achieve value for money that allowed musicians to experience creative freedom and music on a modest budget and within their own four walls. And it only took until 1980 for CASIO to reach its goal with the launch of CASIOTONE 201, the world's first portable keyboard, setting a new standard for the future. Success was not long in coming thanks to the instrument's capacity to make 49 different sounds. 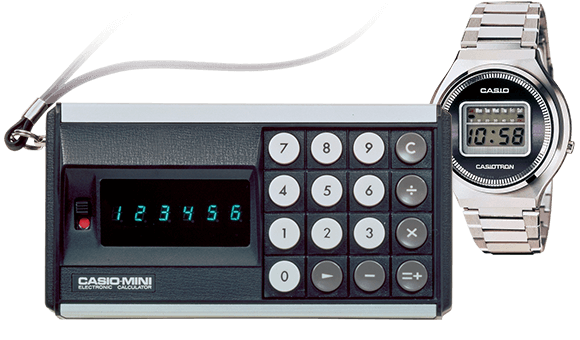 A year later in 1981, the mini keyboard VL-1 was launched and used by Stephan Remmler of the German band TRIO to produce their worldwide hit "Da Da Da", proving that high-quality instruments do not need to be expensive or large. 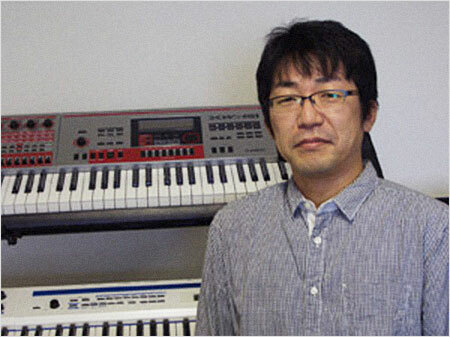 In 1987, the 16-bit FZ-1 sampling synthesizer then finally ushered in the new era of amateur musicians being able to be a part of the big music business without having to spend the equivalent price of a new car. This is how Toshio’s dream became reality — and it is still CASIO’s production and development philosophy. 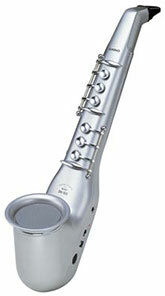 CASIO's first electronic wind instrument. 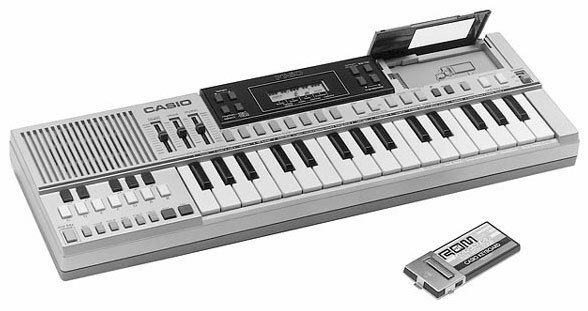 The beginning of the 1990s saw Casio turns its attention to digital pianos and entry-level keyboards. The first CELVIANO AP-7 model and the first keyboard with Lighted Keyboard technology, the CTK-520L, were launched in 1991. Since 1997, the LK series has been helping beginners to learn using pre-programmed tracks and lighted keys that help them to play without being able to read music. Many Casio keyboards have since become rather iconic. These digital musical instruments have continued to surprise with unique features and have helped to write pop music history. Mini keyboard with illuminated keys. First keyboard with illuminated keys in standard size. The start of the new millennium saw CASIO conquer new sectors with new models. 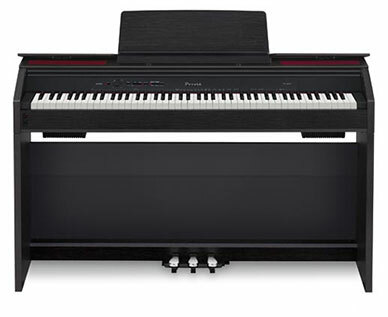 In 2003, the first PRIVIA PX-100 was launched in the digital piano sector, and the first CDP model CDP-100 in 2005. Equally, the company's name became so synonymous with the keyboard segment that the term CASIO keyboard came to mean all keyboards with automatic accompaniment. 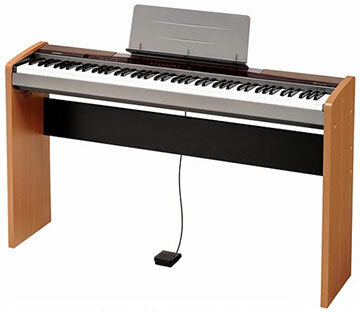 The keyboards from the CTK series, including the CTK-2400 entry-level model, proved particularly popular. Workstation with ZPI Sound Source. 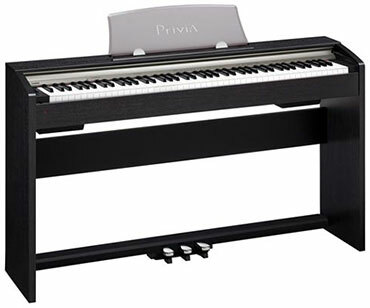 The first PRIVIA compact digital piano. Keyboard with illuminated keys and TV connection (karaoke). 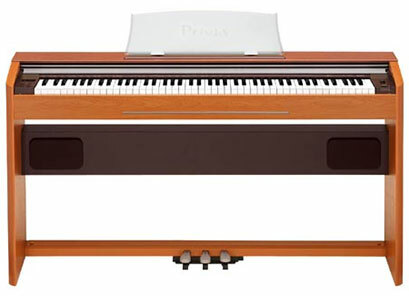 Compact, entry-level digital piano with PRIVIA HL Sound Source. PRIVIA digital piano with 128-note polyphony (AiF Sound Source). Keyboard with AHL Sound Source. Digital piano with Linear Morphing AiF Sound Source. 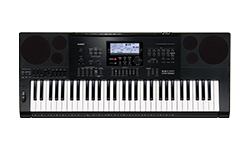 From entry-level keyboards, low-cost digital pianos and synth and stage instruments for professional applications, CASIO instruments deliver both quality and creative possibilities at affordable prices. 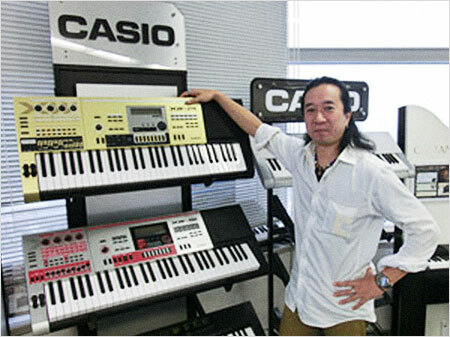 Today, CASIO has a worldwide presence and has sold 70 million instruments — something which Toshio Kashio could never have dared dream would happen. 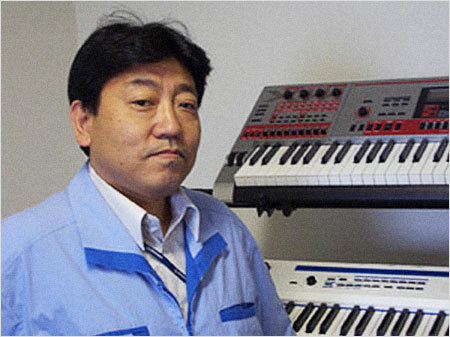 CASIO's synthesizer comeback after 20 years. Revolutionary new multi-dimensional sound source for CELVIANO and PRIVIA. 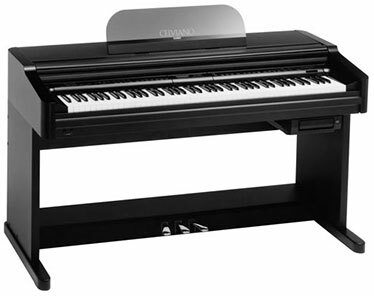 Professional stage piano with master keyboard functions. The popular PRIVIA series celebrates its 10th birthday. In today's world, musical instruments such as digital pianos need to sound great and look great. After all, instruments are generally destined to be used in our homes, our living rooms – places where we want to feel comfortable all the time. 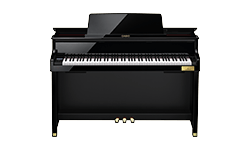 As designers of these musical instruments, we are faced with the challenge of creating a perfect combination of the classic style of a piano with modern digital music technologies. Our PRIVIA series of musical instruments achieve this particularly well. 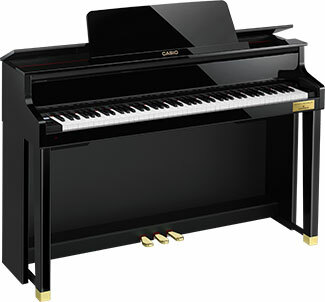 This is a hugely popular product family from the compact digital piano range launched by CASIO. We have created a sleek and modern design to the body that incorporates modern concepts of interior design and yet still reflects the roots of the classic ideal. What makes a musical instrument a good instrument? How much should it cost? How can we improve our musical instruments? How can we take a step closer to the acoustic version? Which sound nuances can be improved and changed further? Just as with acoustic musical instruments, the path to designing and developing the finished digital keyboard/instrument is one that comes with a great many questions. This is particularly true in the development of digital pianos such as the CELVIANO Grand Hybrid series, which intentionally imitates concert pianos. The enthusiasm and passion for searching for and finding the little details, continuously questioning our developments at CASIO is what fascinates and motivates me each and every day. This is because sound itself is also constantly changing and developing; so we can't sit back and rest, but have to repeatedly ask ourselves: Where and how can we still improve? The keyboard on a musical instrument is not merely a collection of black and white keys. No, it represents nothing less than the physical connection between the pianist and sound itself. At first glance, it would seem that my work at CASIO is only about the mechanisms and has nothing to do with sound itself. But this mechanism is essential to ensure the quality of the whole instrument! If I do a poor job, not even the world's most talented pianists will be able to enjoy the sound of their musical performances. 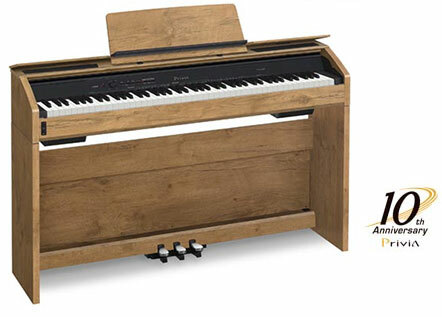 A keyboard with no thought to the mechanism does not allow sound to be produced as the pianist would want. However, if I succeed and do a good job, people can enjoy and savour the wonderful sound, which is the result of the fantastic achievement of my colleagues. When sounds unfolds in all its fine details and nuances, when musicians can control each tiny change in timbre using their highly trained playing skills, when I can see that smile on their faces as they forget they are playing a digital instrument, then I know: I've done my job, and I've done it well! We build digital musical instruments. Even after being active in this field for 30 years, we are still in the early stages of learning and study compared to classic acoustic instruments, which generally have had centuries of development. So, I have this childlike glee of being like an explorer in a new world. I'm sure that, in another 30 years, there will be new instruments and features that musicians around the world will take for granted and consider to be essential for the development of new music. 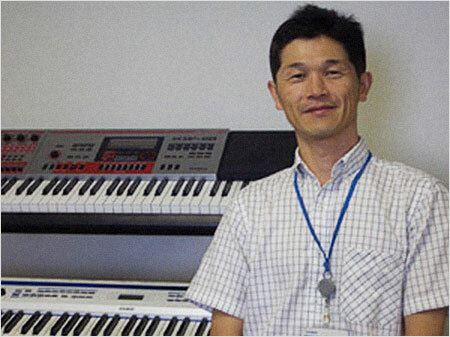 That's why today's researchers and developers, just like those of us here at CASIO, have to develop these features and bring them to musicians the world over. This thought alone motivates me and strengthens my resolve to play my role in developing new digital musical instruments. Even after all these years, my passion for my job remains as undiminished as on my first day. The developments in digital technologies represent an enormous change and have a huge bearing on the music industry. Both the rise in filesharing and the mp3 format and the resulting slump in record sales represent a turning point in the music industry. Accessories and instruments for music production are becoming ever more affordable for a wider user group. While record labels are faced with new challenges due to the new situation, the impact of digitalisation on music producers, composers etc. 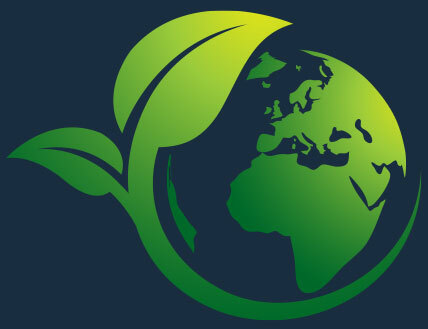 is huge, especially for the younger generation. Together with computers and software, digital musical instruments are superseding traditional and very expensive production studios, which, only 20 years ago, were only open to serious producers. 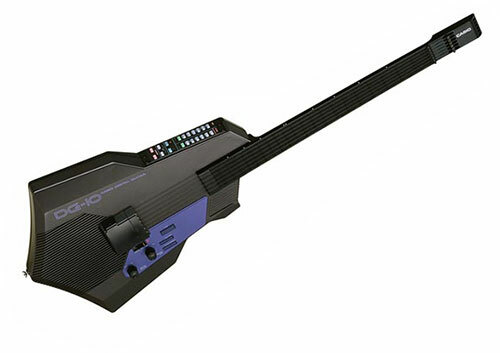 At CASIO Music, it goes without saying that our aim is to make instruments that meet those new requirements: easy to connect to PCs or Mac notebooks combined with a variety of MIDI functions! Get the best sound with comprehensive options for adapting to your own preferences! 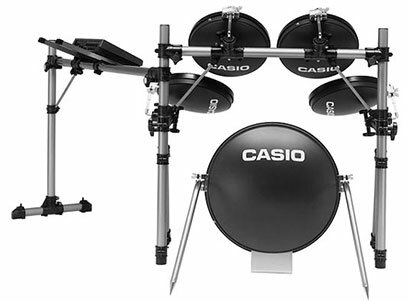 And, at CASIO, we are constantly setting new standards in the field of digital music, such as our High Resolution Velocity (AiR Technology), which is approved by the MIDI Manufacturers Association. This technology provides 16,256 steps instead of 127 for the dynamic range of a tone, enabling a new kind of authenticity for all digital MIDI instruments. Innovation goes beyond technology. It includes responsibility. CASIO products enrich life. And music. And by 2051, by 80%.